Interview with Susan Archie, principal of World of anArchie, winner of the 2015 Grammy Award for “Best Boxed Or Special Limited Edition Package” for her work on The Rise & Fall Of Paramount Records, Volume One (1917-27), released by Third Man Records/Revenant Records. 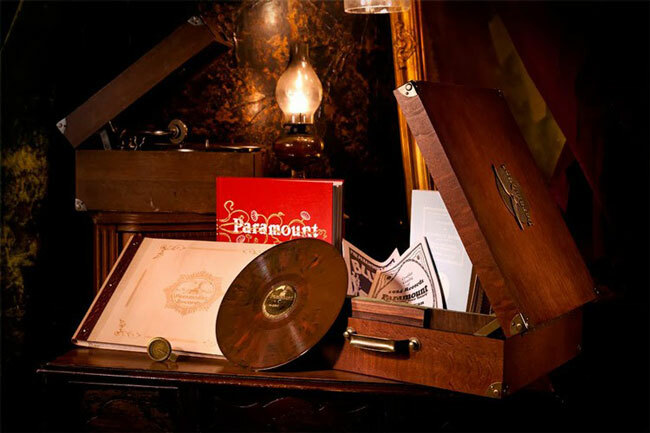 With a thorough understanding of digital technologies being such a key driver to success in today’s music business, music fans often forget that the earliest recorded music came about as the result of an application of a new technology – i.e., those introduced by the early French and American inventors of the phonograph and the gramophone. While we take for granted the various advances in recording technology that have taken place since the late-1800s, without the energies applied – and risks taken by – music industry pioneers, there would be no archives of the performances given by the musical acts that have gone on to influence modern music and music engineering. Like many an American industrial enterprise, the early U.S. recording business was also an attractive one to those individuals and companies looking to entice the public to buy their products, with some companies (Edison and Victor, for example) impressing consumers with the quality (sound and manufacturing) of their hardware (AKA record playing devices) and software (recorded content, in its many forms – first cylinders, then 78RPM discs, etc.) and others looking to simply “spend-a-little, make a lot” as production of devices and content quickly scaled up as the century turned.